Clairemont Mesa is a wonderful community in central coastal and metro San Diego. 5 Minutes north of Downtown San Diego and 5 minutes to the ocean just east of Pacific Beach and La Jolla, Clairemont Mesa is a great place to live. 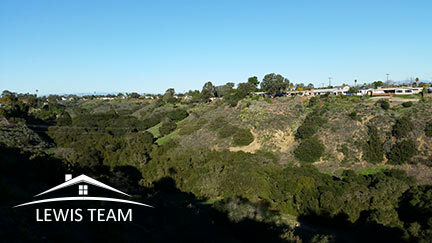 Clairemont Mesa sits high upon a hill or “mesa” meaning table in Spanish, that overlooks the coastline allowing many homes in Clairemont such as in Bay Ho and Bay Park to have wonderful ocean and bay views as well as views to downtown San Diego. Most of the homes in Clairemont Mesa were built in the 1950’s and 1960’s. Clairemont Mesa is one of the first post-World War II suburban developments in the City of San Diego. Clairemont has both a neighborhood and metro feel. There are 5 main communities that make up Clairemont Mesa; they are Bay Ho, Bay Park, Clairemont Mesa East, Clairemont Mesa West, and North Clairemont. 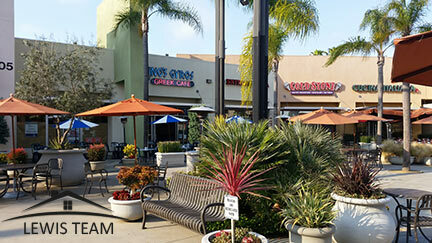 There are several commercial centers for shopping, dining, entertainment and general commercial businesses in many areas of Clairemont. Many of them are located off of Clairemont Mesa Blvd., Balboa Avenue, Clairemont Drive and Morena Blvd. 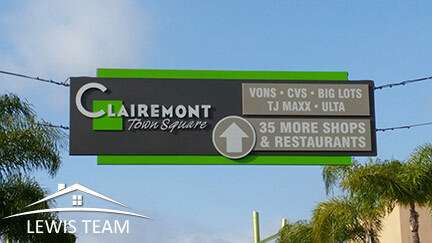 The most well known shopping center is Clairemont Town Square located at the juncture of Clairemont Drive and Clairemont Mesa Blvd. Clairemont Mesa is located within the City Limits of San Diego so it is part of the city of San Diego. Clairemont takes up a land mass of approximately 13 square miles. Clairemont has a population of more than 80,000. The northern border of Clairemont Mesa is Route 52 and on the north side of the 52 is University City. To the southern border lies the community of Linda Vista. Clairemont Mesa’s history began in the early 1950’s. 2 developer’s names Lou Burgener and Carlos Tavares began developing the community of Clairemont in 1950. Apparently the name Clairemont came from Carlos Tavares’ wife, Claire. The land that makes up Clairemont was purchased from 3 primary land holdings which were; Mission Bay Heights (owned by the Hazard Family), the Peavey Cattle Ranch, and Tecolote Heights (owned by Jack & Dan Danciger). The developers invested $125,000 in improvements which included access roads, water and sewers. According to the developer, Lou Burgener, “Between 1952 and 1954, seven homes were constructed a day”. Within just a few short years thousands of single family homes, duplexes and apartments were built. This master planned community was a new idea at the time and a lot of credit goes to these 2 developers for what they did with the creation of Clairemont. Because of the lay of the land of Clairemont with all of the canyons and valleys the streets and home lots were created to take advantage of the scenic views of the canyons, bay and ocean. People began living in Clairemont in 1951. San Clemente which runs along route 52 and Tecolote Canyons, part of which is a community golf course were designated parks in the 1970s. These canyons have a rich variety of wildlife including, coyotes, skunks, raccoons, opossums, squirrels, gophers, hawks, owls, a wide variety of birds and more. I live on a canyon in Clairemont and I've seen all of these animals and more. It's kind of like living in the country close to the city and beaches. It's a very special place. Are you considering buying or selling a home or condo in Clairemont? Call The Lewis Team today 619-656-0655.